No matter what body type you are, every guy looks better when they are ripped, shredded and cut up. Whether you’re a 150lb thai boxer or a 250lb bodybuilder, less fat and a 6 pack looks good! 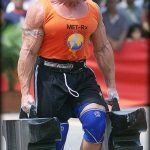 A good fat burner will help you to get there quicker and get that end result that you are looking for. 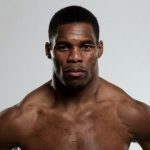 If you’re a former skinny guy that is conscious about losing size then don’t worry, losing fat can actually make you look more muscular and bigger. 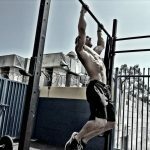 There are three main things that you need to do if you want to lose fat and get a tighter physique. They are; eating a clean diet, using a good fat burner and keeping active. 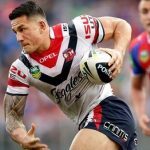 We’ve already covered the diet and workouts in many other articles on our site, in this article we’re going to focus on fat burners; what ingredients to look out for and what to avoid, how they can help you to get ripped faster, and we’ll review and recommend the best on the market for men. 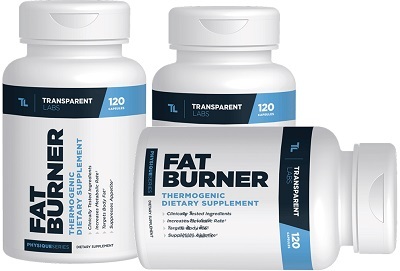 Thermogenics are the main type of fat burners on the market. These work by increasing your metabolic rate – all that means is that you are using more calories throughout the day. Even when you’re sat watching TV or on the computer, your body will be using more energy/calories than normal. This is an easy and effective way for bodybuilders and athletes to get leaner, quicker. 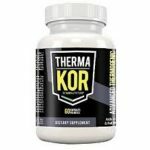 Suppressing your appetite – some of the more advanced fat burners on the market have been formulated to help you reduce your food cravings by making you feel full, this is very useful when you’re dieting and eating clean. Anyone that has been on a diet for a long period of time will know how hard it is to avoid eating high-calorie foods, especially after you’ve had a hard workout. By raising your metabolic rate and helping to reduce the amount that you eat, your body starts becoming a fat burning machine. This is why fat burners are effective and help you to lose those extra few pounds of stubborn body fat. What to look out for with a good fat burner? Every supplement company seems to have a fat burner, some have two or three, all claiming to do the same thing – get you ripped in no time. Try looking past the hyped up claims and drill straight down to the ingredients – that’s what’s going to do the job for you. Green tea – This ingredient has many benefits in the body including fat burning. This study shows that green tea increases the rate that the body breaks down fat and increases the utilization of glucose. Chilli peppers – Particularly Cayenne peppers that contain capsaicinoids which promote weight loss through increased metabolism and this study found that it also reduces appetite. B vitamins – This important vitamin is helpful when it comes to boosting metabolism and helps convert food into energy. Glucomannan – This fiber from the konjac plant expands in the stomach and makes you feel fuller for longer so you eat less and have fewer cravings. Green coffee extract – This extract is one of the best fat burning ingredients. It comes from unroasted coffee beans which are rich in Chlorogenic Acid. In this study, Chlorogenic-Acid was able to inhibit fat absorption and increase fat metabolism in the liver. Forskolin – This ingredient has been shown to increase the release of fatty acids and this study showed forskolin was able to decrease fat and increase lean body mass in obese people. Yohimbine and Bitter orange / Synephrine are other ingredients to be careful of, they can be OK in small amounts. This gets our top spot because it’s been formulated using the latest research, contains the most amount of proven ingredients and has excellent customer reviews. 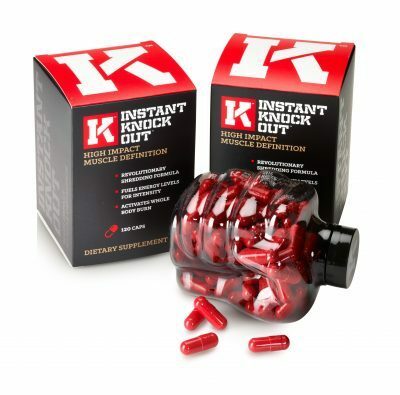 With its name, fist-shaped bottle and red capsules, Instant Knockout is a badass product. Out of all the supplements that we have ever bought and tested, this one by far looks and feels the most premium. 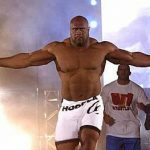 The website says it was originally formulated for MMA fighters and boxers to help them get cut up and ripped in time for a fight. It’s literally been created to help you get fighting-fit. The Green Tea, Cayenne Pepper, and Caffeine all work together to naturally and safely raise your metabolism throughout the day. So you’ll be using more calories even when you’re sitting down. Glucomannan is extracted from a plant root, it’s a dietary fiber that swells up in your stomach which helps you to feel full and suppress your appetite. This makes dieting a lot easier and helps to stop those sugar and fat cravings in between meals. It also contains Green coffee extract and vitamin B6 and B12 to help boost energy levels. You can only buy it online direct from their website, you won’t find it on Amazon, GNC, eBay or any supplements shops. It’s a premium priced product so it may not be for everyone’s budget. Based on the ingredients profile and customer reviews, we strongly recommend Instant Knockout as the best fat burner for men. The combination of the natural stimulants and a natural appetite suppressant make this a perfect product for anyone looking to cut fat safely. For more information on this product, check out our full Instant Knockout review. 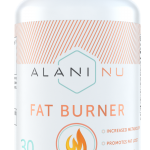 Next, we have another premium fat burner that is pretty new to the market and is already making waves for how effective it is. 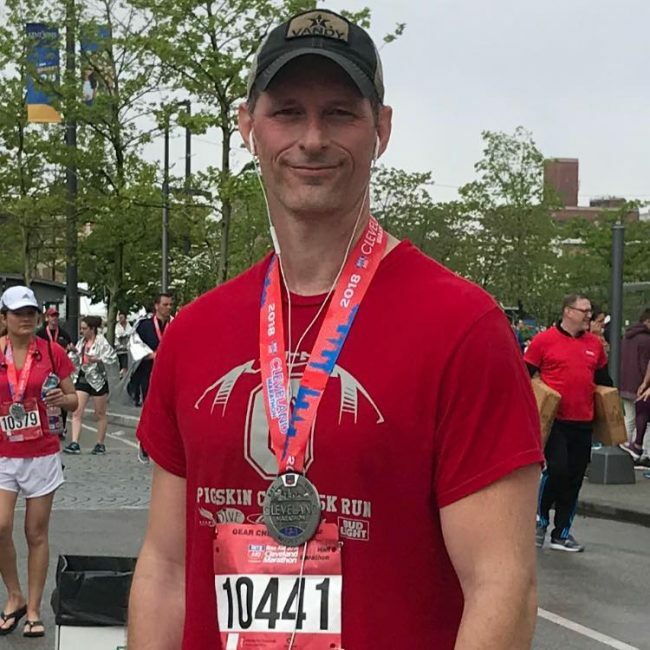 Hunter Burn is made by Roar Ambition and it is geared toward older guys looking to burn fat and lose weight but it can really be used by men of any age. The reviews for this one are excellent and after taking a closer look at it we can see why. The first thing we notice about the ingredients is that it contains a large dose of Konjac Root Extract, also known as Glucomannan. This ingredient expands on the stomach so you feel fuller longer. This leads to you eating less and consuming fewer calories throughout the day. The 3000mg dose of this ingredient will certainly deliver. Next, they use green tea extract which is a popular fat burner ingredient because it has been proven to increase metabolism so you burn more fat faster than you normally would. 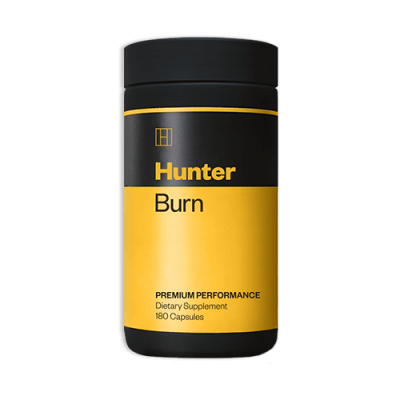 Hunter Burn also uses cayenne pepper which has been shown to increases your metabolism through thermogenesis and it also has been shown to reduce appetite as well which is why it is one of our favorite ingredients. On top of that, they use a healthy dose of kidney bean extract which is another ingredient to help suppress appetite. You will definitely be eating less when taking this product which will help offset the higher price. The biggest negative with this product is going to be the price. At $75 for a bottle, the price is definitely something to consider. There are savings to be had if you buy in bulk though so that can help but it is certainly above average price wise. This product is also only available through the manufacturer’s website. You won’t find it in stores or anywhere else on the internet. Overall this is a really nice product that has strong, effective and natural ingredients. The use of 2 appetite suppressing ingredients will definitely have you eating less and when you add in faster metabolism your weight loss is all but guaranteed. It is on the more expensive side but if you don’t mind spending the extra money it is well worth it. Next up we have another really nice fat burner from Transparent Labs. This one is a bit cheaper than our first product but is still very effective so it could be a good choice for people looking to save a few bucks. This is another one that has some really good ingredients and some really nice reviews. We also really like that this one has a stimulant free version as well for guys who may not like stimulants or may not be able to handle them very well. There are no proprietary blends, fillers or artificial with this fat burner. This one is as the company name says, transparent. Transparent Labs covered all the bases and made a really nice product that easily comes in second place. 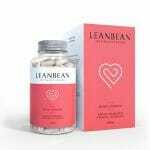 This fat burner features 500mg of forskolin as one of its main fat burning ingredients. Forskolin has been shown to reduce body fat while maintaining muscle. It is getting a lot of buzz right now as a newer and better fat burning ingredient and it is living up to all the hype. On top of that, it also contains some of our other favorite stimulants – Green Tea, Cayenne Pepper and Caffeine. These work together to naturally increase your metabolism for faster fat burning. 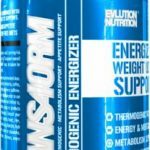 The stim-free version uses Acetyl L-Carnitine which also increases fat metabolism and is a non-stimulant. This product also has a nice dose of 5-HTP to reduce appetite and keep those cravings down. Premium priced, but worth it. PhysiqueSeries Fat Burner and Stim-Free Fat Burner is a really nice, natural formula. 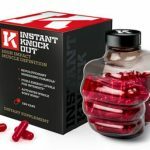 It has mostly positive reviews out there and is a cheaper alternative to Instant Knockout. 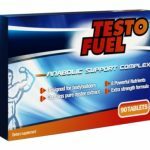 If you are looking for a stimulant free fat burner this would be your best choice. They’ve called Ripped Freak a hybrid fat burner because it acts in multiple ways. It works like a normal fat burner through thermogenesis – increasing your body temperature. 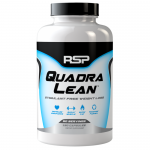 It also contains ingredients that are supposed to support the more important fat burning hormones in the body and it supports HSL – the enzyme that helps to break down fat. Ripped Freak contains our three favorite stimulants – Green Tea, Cayenne Pepper and Caffeine. These work together to naturally increase your metabolism. They also use Olive Leaf Extract is said to support the fat burning hormones in the body. On top of that, they included green coffee bean extract and raspberry ketones, two more ingredients that are effective fat burners. 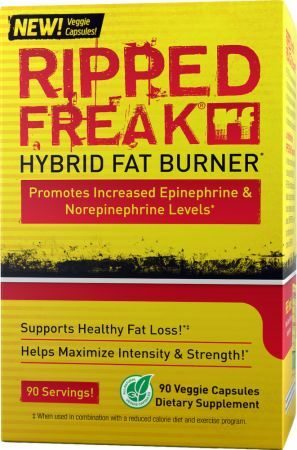 Ripped Freak Hybrid contains a good natural formula, it has mostly positive reviews out there and is readily available. Not the best choice on the list but it is still pretty good. SuperHD Xtreme is made to work on 4 levels including mood, energy, definition and focus. 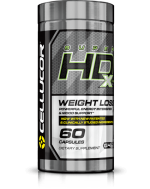 It’s made by Cellucor and it is their top of the line fat burner they make. They also have 5 other fat burners in their line-up but this one is the best of the bunch. This one has a big dose of caffeine with a 300mg dose per pill. 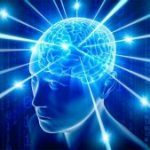 It also features their patented Teacor which is a stimulant that studies have shown people do not build a tolerance to like caffeine and other stimulants. They also put in some Cayenne extract in here and a few other things but it looks to be mainly a fat burner based mainly on stimulants. If you have a type of sensitivity to stimulants you should probably avoid this one. This one may be too many stimulants for some people and it is also a bit on the pricey side. While this one does have pretty good reviews SuperHD Xtreme is definitely not the best value on the list. If you like stimulants and you don’t mind spending money this one could work for you but I would spend my money more wisely. 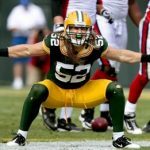 There you have the top 5 fat burners on the market for men. We really like Instant Knockout, Hunter Burn and the PhysiqueSeries Fat Burner. These three stand out as the top choices for guys looking to burn fat quickly and effectively. They have the best ingredients and reviews so you can’t go wrong with either one. Just remember you can’t expect the fat burner to do all the work. You need to put your workout in at the gym and follow a good diet. Then you will get the most out of your fat burner.